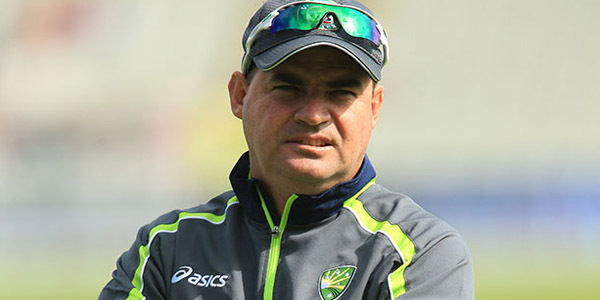 ISLAMABAD, Sep 2 (APP): Pakistan Coach Mickey Arthur feels all players got opportunity to prove their metal in the series against England and now it is an open secret that who will be taken forward. “I want to give guys opportunities and then we will know by the end of the tour who we can and can’t take forward,” sports.ndtv.com quoted him as saying. He said we are number nine in the world and we can see why. “Pakistan have a tough schedule as they try to improve their ranking, with the ICC system also factoring into account the quality of a team’s opposition,” he said. “When I saw the fixture list, the games aren’t easy. We have got two series against West Indies that we have to play well in West Indies are a decent one-day outfit,” Arthur said. “Between them we are sandwiched with an ODI series in Australia which is incredibly tough,” explained Arthur who, in contrast to the team’s white-ball form, saw Pakistan rose to the top of the Test rankings following a 2-2 drawn series with England earlier in the tour. ‘Frustrating’ As for late call-up Irfan’s fitness problems in his first match of the tour, Arthur said. He said England is a phenomenal cricket team, power-hitters all the way down. “We haven’t been able to get quick starts and clear the ropes. We just don’t have the players to do that within our group of 15 at the moment,” he said. Pakistan will play the last ODI against England on September 4. However the only Twenty20 will be played on September 7. Pakistan T20 team will be led by Sarfraz Ahmed.